Chhath is celebrated two times in a year amongst the people of North India, majorly U.P. and Bihar. The one celebrated in April is called Yamuna Chhath, also known as ‘Yamuna Jayanti’ which is an important Hindu festival dedicated to Goddess Yamuna in the honour of the holy river Yamuna. Celebrated with great joy, enthusiasm and fervour, this festival is observed with a grand ceremony and show in the city of Mathura and Vrindavan. The auspicious day people offer prayers by fasting and worshipping, while they celebrate Yamuna Chhath that commemorates the descent of Goddess Yamuna on Earth. The day is also celebrated as the birth anniversary of Goddess Yamuna, and therefore prayers are offered to the holy river Yamuna. Significance and Celebration of Yamuna Jayanti. Observed on the ‘Sashthi’ which is the 6th day of the Shukla Paksha (the waxing phase of the moon) this Hindu festival is celebrated during the Hindu month of ‘Chaitra’. However, according to t In the Georgian calendar, it falls during the month of February-March. This year, 2019, Yamuna Chhath will be celebrated on Thursday, 11th of April. The festival falls during the celebrations of the Chaitra Navratri on the sixth day. According to the Hindu mythology, Goddess Yamuna who was also known to be the consort of Lord Krishna holds a very important place. 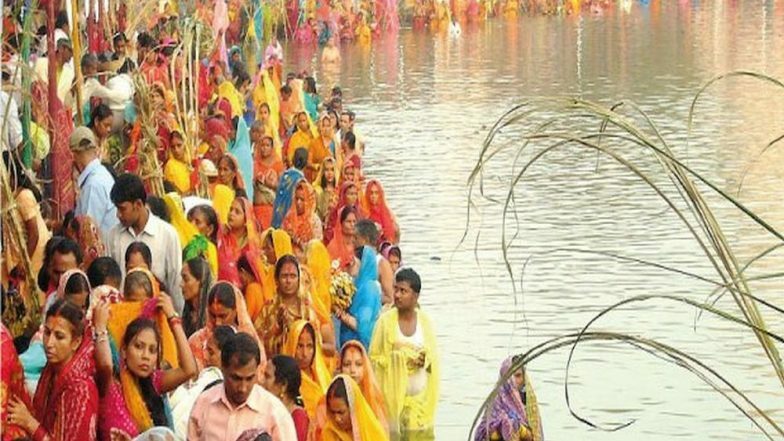 People from Braj rever her and are devoted to the Goddess Yamuna; therefore, Yamuna Chhath is celebrated with great joy and excitement amongst the people of Vrindavan and Mathura. The sacred Yamuna river is worshipped along with other holy rivers such as Ganga, Godavari, Brahmaputra and Saraswati. The rituals are quite similar to the main Chhath that is celebrated in the month of Oct-Nov as per the Georgian calendar.